Thanks for joining us today at Doodlebug Design. Hermoso este proyecto me encanto!!! la combinación de papeles es genial y los colores muy linda!!! I need to make one of this, I am determine to make Christmas special for my son this year. Because he is growing up so fast! This cute wish list and receipt keeper is going to be a great tool! 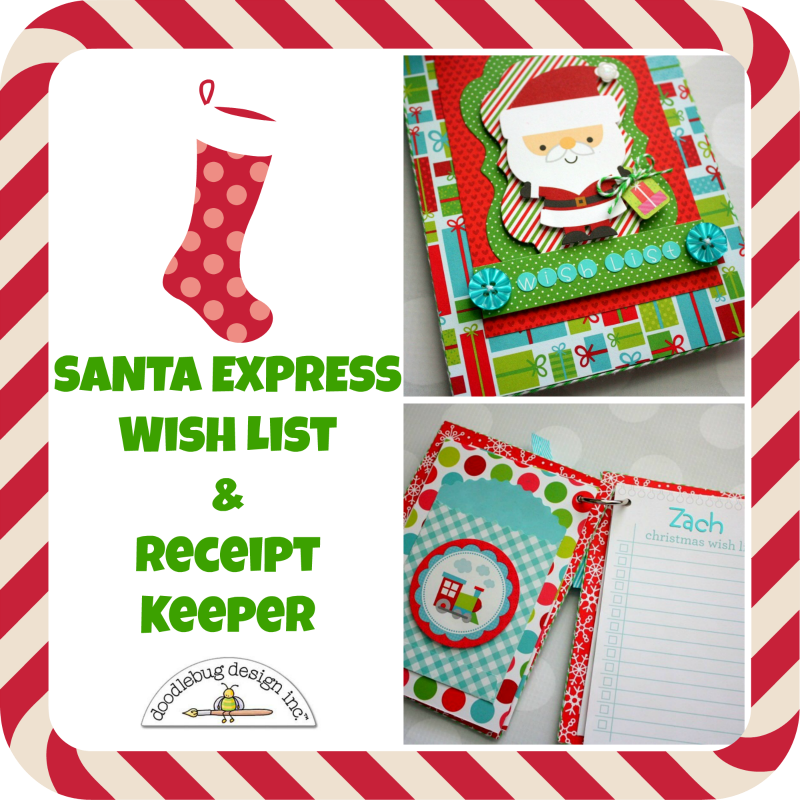 I pinned this adorable wish list and receipt keeper to my "Christmas paper crafts" board on Pinterest! I shared this post on Facebook though the Doodlebug Facebook page! This is a fun idea! I like the little pockets on the inside. Such an awesome idea Shellye! What a super cute and GENIUS idea shared here by Shellye - it is awesome times amazing with a whole lot of spectacular added in!! Love it!! I pinned two pics of this amazing idea!!! Shared about this amazing project on facebook - Thanks Shellye for the inspiration!!! Wow, this couldn't be any cuter!! Thanks for the inspiration. what a GREAT idea! and a good place to keep receipts or coupons for the items on the wish lists! thanks for the inspiration! What a great idea for a mom with lots of kid gifts to buy. I could have used something like tat back then. This is an adorable and clever idea!! So adorable and what a great idea! Cute album that can be used for so many things! !